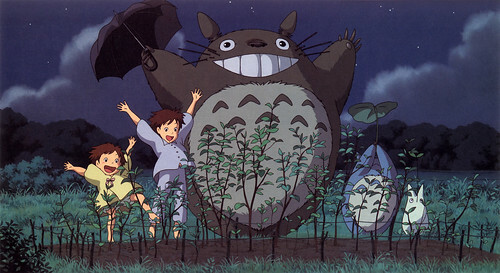 I wasn’t prepared to be enchanted by My Neighbor Totoro. I was thrilled by the two little girls who were adventurous & brave & joyful. What a lovely film full of whimsy & hope. Thank you, Hayao Miyazaki. I will now doodle plump pointy-eared creatures on my notepad for the rest of the week. I love Miyazaki films 🙂 Haven’t seen this one though… perhaps this weekend! You make it sound delightful. I have such a soft spot for this film. Love it!